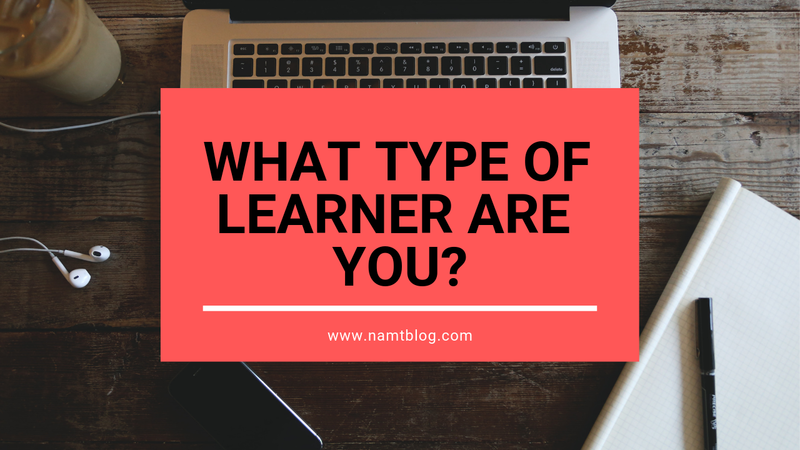 NAM'S BLOG: What Are the Different Types of Learners (VARK)? What Are the Different Types of Learners (VARK)? In this post, I will be going over the 4 types of learners (VARK) and giving suggestions for how each learner can do self-directed studies. I am a firm believer that everyone should be able to do self-directed learning. The reason is that not everything you want to learn requires going to college or taking a paid course. There are many subjects that can be learned by just reading books or watching online tutorials, or through a combination of both. For instance, online business. You don’t need a business degree from an accredited university to start an online business, so why would you go to college for it? You can just read business books, watch educational videos online, maybe buy a course, and learn how to run it through trial and error. Not only will this save you a bunch of money, but you will be learning how to do it first hand; you will get practical knowledge rather than theoretical knowledge. But to be successful at self-directed learning, you need to know what type of learner you are. Are you the type that prefers to see images and videos? Or are you the type that prefers the information to be presented in text? It’s important to know the type because the medium that you will learn from will be based on the type of learner that you are. If you are a visual learner, then you like to see the information presented in images. You prefer to learn via charts, graphs, diagrams, maps, etc. One way to do self-directed studies if you are a visual learner is to try to find books or educational videos with a lot of charts, diagrams, and graphs. As you study these resources, take a lot of handwritten notes and create diagrams for the information. You should also take some time after learning a new concept to come up with a visual example of it in your mind. You can also imagine/create a hypothetical story to use as the example. The main thing with the examples is to create a mental image that will help you remember the information. However, if you are unable to find texts or videos with lots of charts and graphs, then you’ll just have to put in some extra effort to create these images yourself. Buy a sketchbook and transform all the information you have learned into diagrams that will help you remember it. If you are an auditory learner, then you prefer information to be presented to you in spoken word. You like to learn via lectures, groups discussions, web chats… pretty much any form of learning that involves listening and talking things through. To do self-directed learning as an auditory learner, you’ll need to learn from podcasts, audiobooks, and lectures (online or in-class). You will also have to find someone (or a group of people) to discuss the ideas and concepts that you have learned. If you are unable to find podcasts, audiobooks, or lectures on the subject you want to learn, then reading books or texts out loud works too (it’s not as effective as the other suggestions, but it works). However, with the internet being the internet, I’m sure you’ll be able to find resources for any subject you want to learn. You just have to put in an effort to search for it. If you are a reading/writing type of learner, then you prefer to learn by reading information and then writing it down in lists or notes. 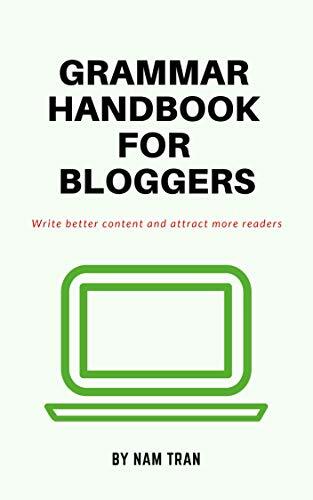 To do self-directed learning as a reading/writing type, you will want to read a lot of how to books or blogs and take notes of important information. You can make lists or take point form notes. It doesn’t matter what the method you choose is, so long as you are writing the information that you are reading or listening to or watching down. You can also learn through online courses that are presented in text, where you read the information, take notes, and then apply it. To find resources to learn as this type of learner isn’t that difficult. The majority of learning resources cater to this type, so you shouldn’t have any trouble finding material to learn from. If you are a kinesthetic learner, then you prefer to learn through experiences or by doing things. This means you like to do experiments and/or use your own experiences as learning tools. One thing that all kinesthetic learners have to do when they are doing a self-directed learning program is to write out all the important things that they learn. If they are reading a how-to book, then they have to write and/or draw out all the important information. If they are watching an educational video, then they have to, again, write and draw out all of the important information. The reason being is that the act of writing creates a movement that can help kinesthetic learners remember information. Additionally, if you are a kinesthetic learner, you have to put what you learned into practice. If you are learning about Vietnamese culture, for example, then you have to go out and go to their festivals and events, and go eat at their restaurants; you have to experience the culture. Another example would be learning how to bake. Some people can read or listen to the recipe and know how to make it. But as a kinesthetic learner, you have to try to make it while learning how to make it. So, you have to read the recipe while attempting to make it. The types of learners are all preferences. One type can learn via a different mode, but it’s just not as effective. Also, some people will be a mix. For example, I prefer to learn via reading and writing, and also through visual resources like infographics or charts. I like to study images and then write down all the important information. I also like to read something and then write down notes and create examples for the concept or idea. 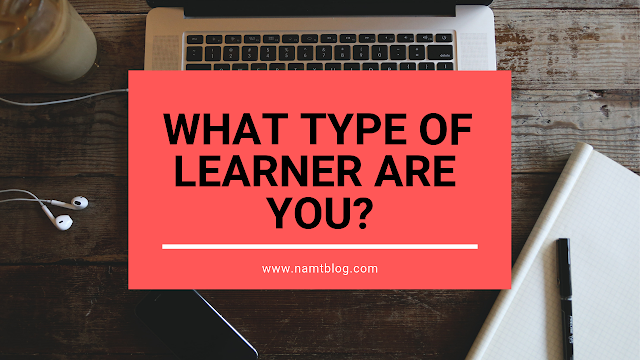 But what type of learner are you or how do you prefer to study? Leave your answers in the comments below.